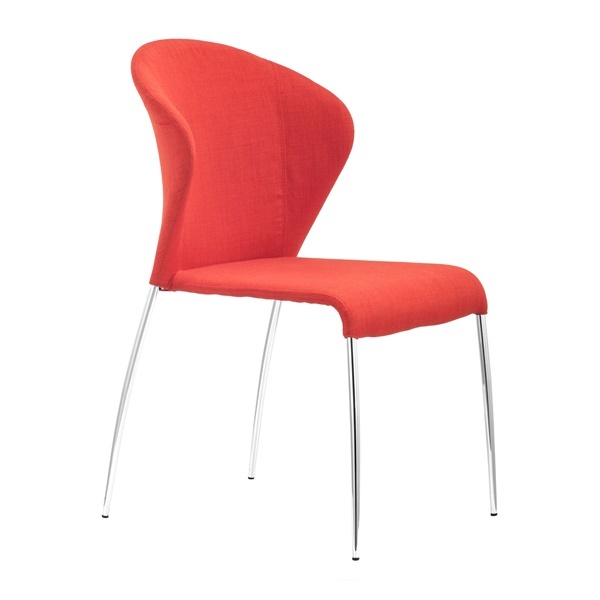 Pick up a comfortable, sophisticated dining chair that is built to last � the Oulu Dining Chair from Zuo Modern. This outstanding dining chair features a dazzling chrome steel finish, along with a first-rate polyblend cover that provides amazing quality. And with its retro design, the chair is sure to look great in just about any dining room. Enjoy a dining chair that is offered in multiple sparkling colors and will meet your style needs perfectly with the Oulu Dining Chair. Offered in multiple stunning colors. Chromed steel finish gives the chair a dazzling appearance. Boasts a polyblend cover that is both stylish and practical. One-of-a-kind design makes the chair a superb option in traditional and contemporary dining rooms.